Under the Fair Labor Standards Act (FLSA), workers in the United States must be paid at least a minimum wage — currently set at $7.25 an hour. While states and municipalities have the power to establish higher wages — for example, Washington is $9.32 and San Francisco is $10.74 — the federal minimum wage creates a base level for most employees. The only exceptions to the rule are certain tipped employees, full-time students, youth workers and disabled workers. According to the Bureau of Labor Statistics, 1.6 million hourly workers earned the federal minimum wage in 2012, with nearly 2 million more earning less than the minimum because they fell under one of the above exemptions. More than half of minimum wage employees work in the leisure and hospitality industry, followed by retail, education and health services. How did we get to today’s rate of $7.25 an hour?Let’s take a closer look at the history of the minimum wage. If there is one thing that I love about an infographic, it is when they have good organization. That means that the information is laid out in an easy to read and follow design. This infographic uses a timeline design to help guide the reader through all of the information. The years are clearly labeled and designed to standout from the rest of the text. My only negative is that the top part is a little dull and should be more appealing to the eye to attract readers. The information is interesting and helps shows how the federal minimum wage has changed over the years. I like the historical facts about the minimum wage. My pet peeve about infographics is that they should provide something valuable to the reader. 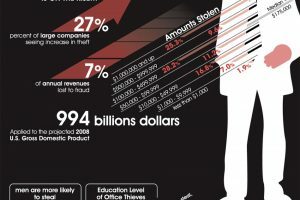 This infographic shares facts but provides nothing for the reader to take away from the infographic. Next Next post: Do You Grind Your Teeth?